I hope you enjoy the Topaz Detail Review. When you are ready, you can order Topaz from the Topaz Store page. It’s a very inexpensive product… now you have almost no excuse! 🙂 I recommend you get the full Photoshop Bundle, because it comes with many great products for an amazing price. The Coupon Code “STUCKINCUSTOMS” should save you a bit more money too. 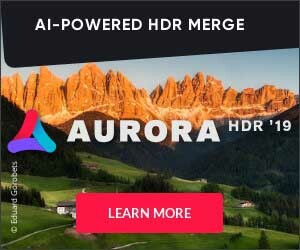 Speaking of the other products, you may have already seen my Topaz Adjust Review, and I must say that both are very similar, although each one is different and cool! HDR – Although not technically HDR, it does indeed do some dodging and burning at the micro contrast level that is pretty cool! Also, besides all of these cool presets, you can do amazing things with the sliders thereafter. I advise first getting used to the presets, and then tweak it out more with the sliders. Below are some simple examples of the interface and what it can do… You can see down the left hand side there are a variety of presets. Changing those adjusts the thumbnail at the top. A double-click makes it happen big on the right. It is AMAZINGLY fast — not like some of those filters where you click and then go get a coffee! Like the other Topaz products, this one has that secret element of “fun” — you will get a kick out of it! I will post more later when I get some time! Here are some of the details — it helps to bring make the lines and sharpness pop quite a bit!